Sharp, the Japanese electronics giant best known for producing televisions, is preparing to re-enter the crowded US smartphone market. The company recently unveiled two new smartphones for release in Japan but according to Engadget, one of them is also destined for US shores. 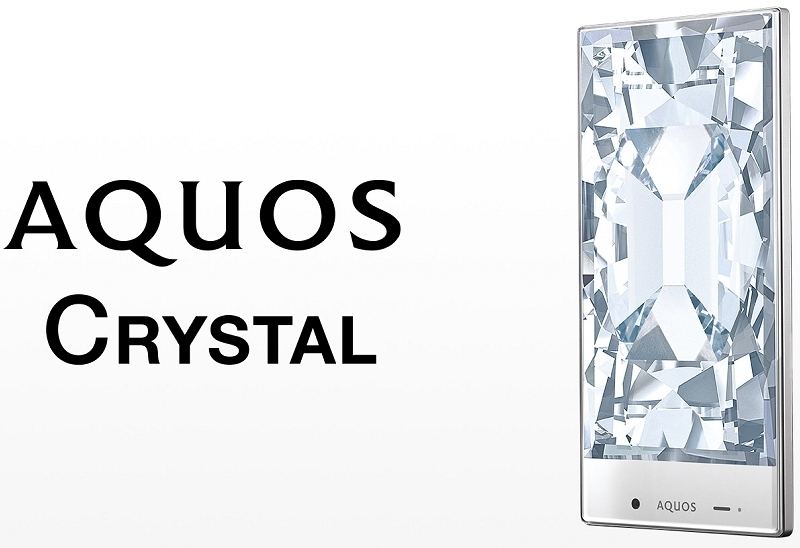 The Sharp Aquos Crystal (the one expected to land in the US) features a 5-inch display operating at 1,280 x 720 with a Snapdragon 400 processor clocked at 1.2GHz alongside 1.5GB of RAM. The handset will ship with Android 4.4.2 KitKat and include a 2,040mAh battery, we're told. The specs alone aren't terribly impressive (mid-range at best) but it's the edge-to-edge display that's capturing headlines today. As you can see in the image above, there's hardly a bezel to speak of except for across the bottom. Bezels have been getting thinner as newer smartphones emerge but this looks to be the slimmest yet. The Crystal is expected to drop in Japan on August 29 via SoftBank with a US rollout expected later through Sprint. The carrier is hosting a media event in NYC later this week were we might see the handset in action and get a solid release date, among other things. For what it's worth, the other handset - the Crystal X - packs a 5.5-inch, 1080p display and is said to be powered by Qualcomm's Snapdragon 801 SoC. 2GB of RAM, 32GB of internal storage and a 2,610mAh battery round out the kit. Android 4.4.4 will ship preinstalled sometime in December for those living in Japan.